Post #90 explained how to step into .NET 4 source code from Visual Studio 2010. 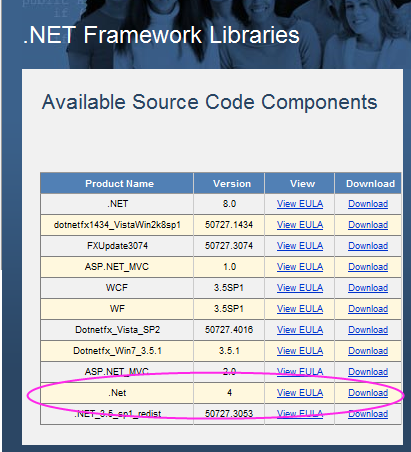 If, you’d rather just view the source code without having to actually step into it from the debugger, you can download all .NET 4 source code directly. You’ll see a list of all source code components that you can download. Look for .NET 4 towards the bottom. Click on the Download link and then run the resulting .msi (installer) file that is downloaded. Specify a location for the source code.